Hear all about what we have been up to since last summer at the HGH Foundation. 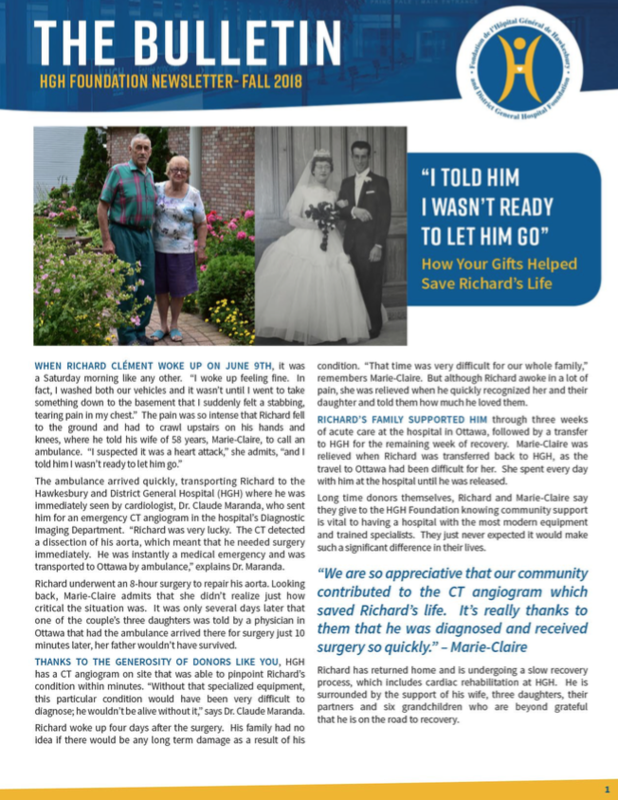 Read the story of Richard and Marie-Claire Clément and how your donations have saved Richard’s life in the Fall 2018 Bulletin. Also get the latest news on our Access 2018 Campaign.